On the shores of Lower Lough Erne next to the marina and 100 yards from the hotel are our self-catering cottages. These brown brick chalet style cottages are set in our private grounds and the large panoramic windows allow you to enjoy uninterrupted views of this wonderful waterway. Each cottage has its own veranda and picnic table for relaxing and enjoying the renowned sunset in Killadeas Bay. Tickety-moo's Jersey Cows enjoy living the easy life, chewing and mooing on the lush green vales of Lough Erne. Oblivious to the fact that their milk is taken and hand-made into the most divine ice cream. 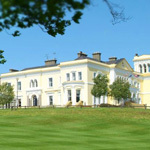 Florence Court is a truly welcoming home, around 8 miles from Enniskillen, Co. Fermanagh. 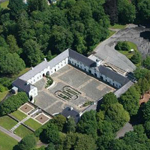 The house, formerly the home of the Cole family, Earls of Enniskillen, is surrounded by a large area of parkland, garden and woodland, with breathtaking views to Benaughlin and the Cuilcagh Mountains. 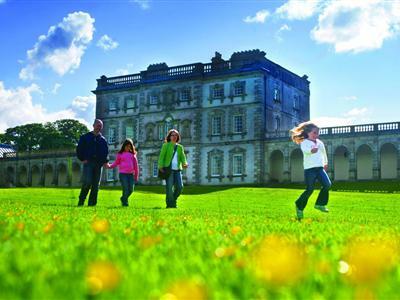 Discover many serene and beautiful corners by exploring the Pleasure Grounds and the Walled Garden in this magnificent demesne. 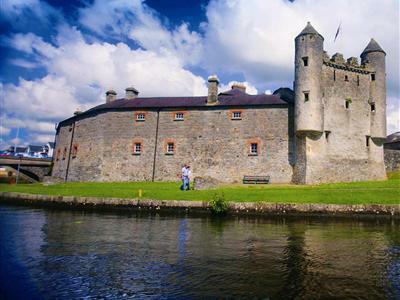 Enniskillen Castle which was once the stronghold of the Gaelic Maguire chieftains is situated beside Lough Erne in Enniskillen, Co. Fermanagh. Built almost 600 years ago, the castle's history is traced from its beginnings as a Maguire castle until its use as a barracks in the 1700s and 1800s. Hugh ‘The Hospitable’ Maguire, the man responsible for building the castle was the younger brother of the leading chieftain at the time, King Thomas Maguire (Thomas the Great). Established in 1857, Belleek Pottery holds a very special place in the cultural and commercial heritage of Co Fermanagh. 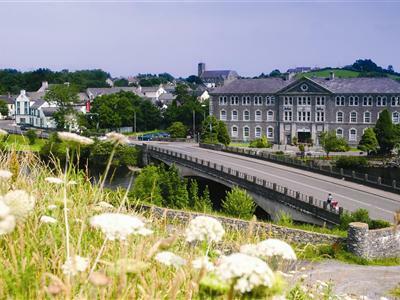 Situated in the picturesque village of Belleek on the banks of the Lough Erne, this imposing building is home to the world famous Belleek Fine Parian China and Belleek Visitor Centre. 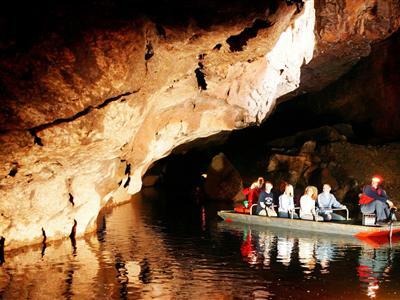 The Marble Arch Caves Global Geopark, situated just outside Enniskillen, County Fermanagh is one of Europe's finest show caves allowing visitors to explore a fascinating, natural underworld of rivers, waterfalls, winding passages and lofty chambers. The Marble Arch Cave complex has good car parking, a souvenir shop, restaurant, exhibition area and an audio visual theatre. The caves are situated in a National Nature Reserve. If you are looking for stately grandeur then Castle Coole is a rare treat. 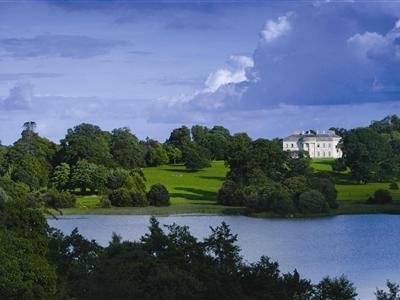 Surrounded by its stunning landscape park on the edge of Enniskillen, this majestic 18th century home of the Earls of Belmore, designed by James Wyatt, was created to impress. The surrounding wooded landscape park sloping down to Lough Coole is ideal for long walks. 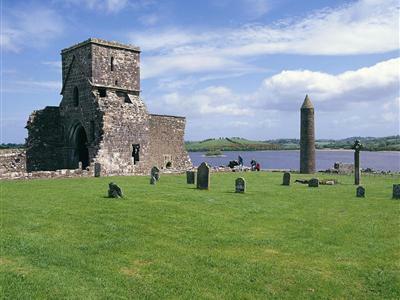 Numerous nature trails, Lough side and woodland walks and cycle trails run throughout this beautiful country park which is located on the shores of lower Lough Erne. Visitors can also explore a butterfly garden, wildflower meadow and deer enclosure and boats are available to hire for those wishing to explore the nearby islands. Pony trekking is also available on site.